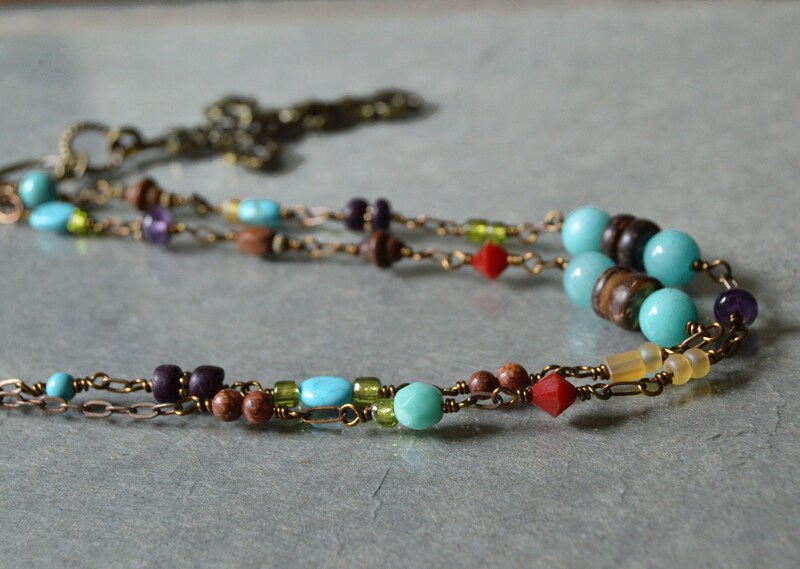 Bright, beautiful, boho. 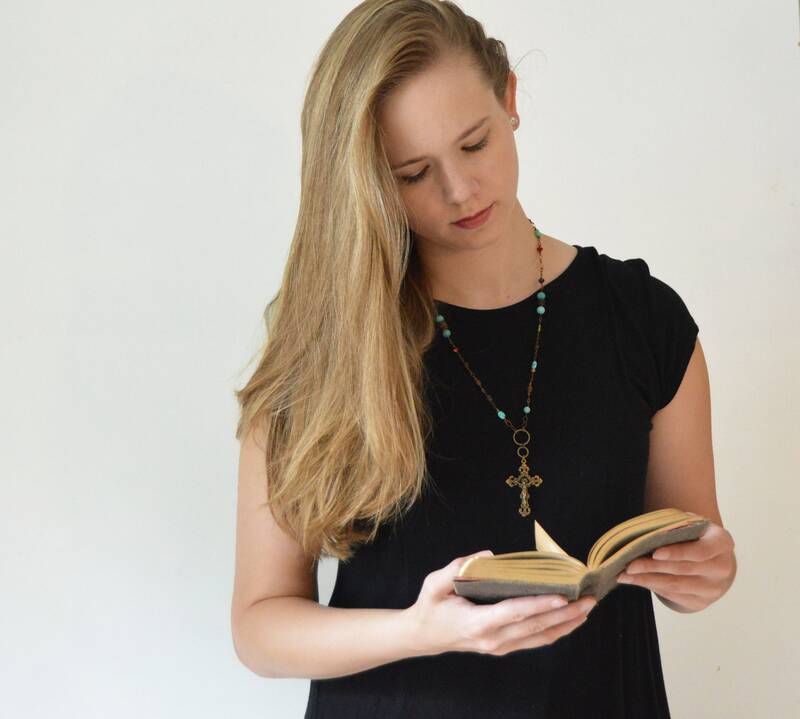 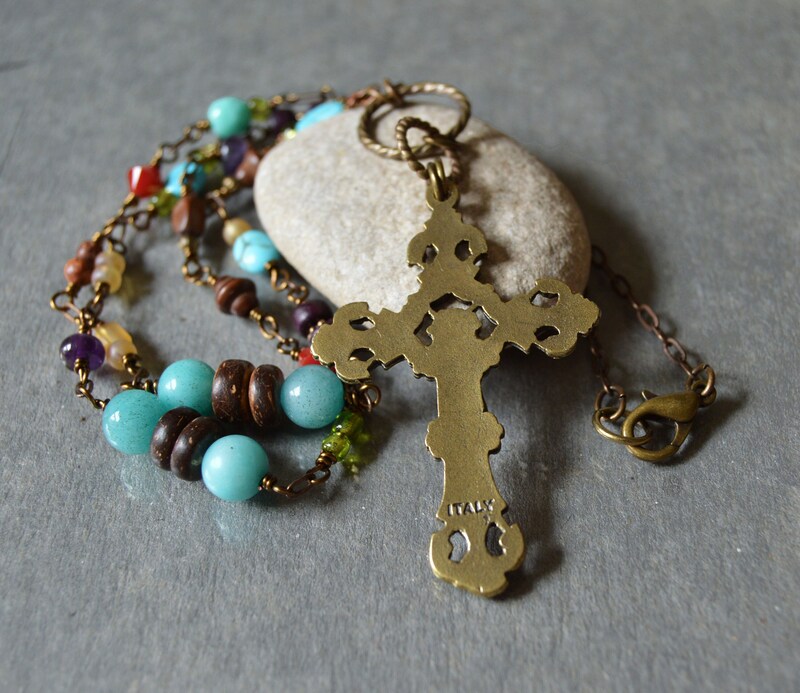 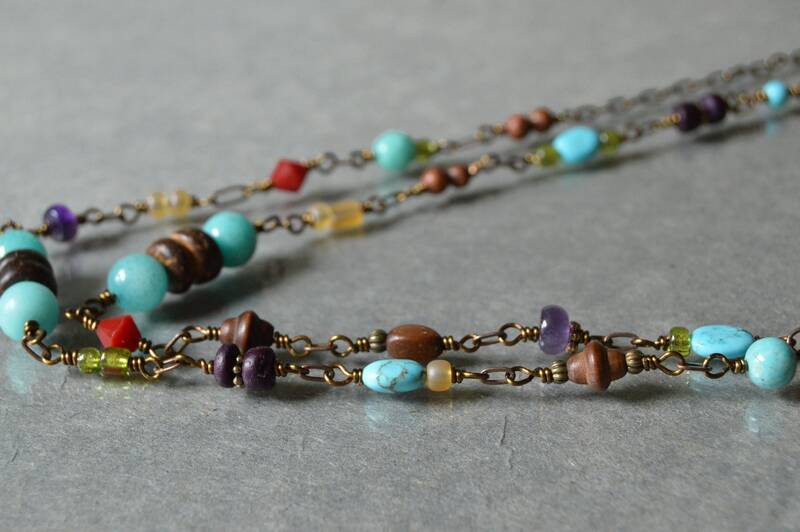 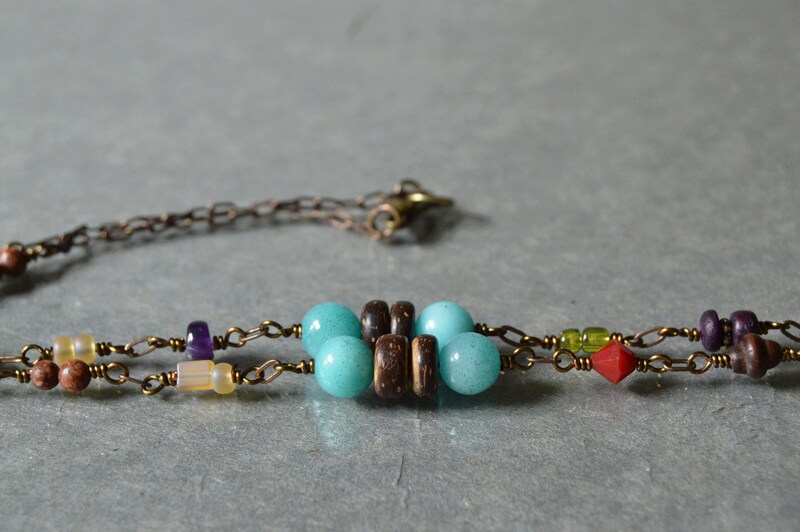 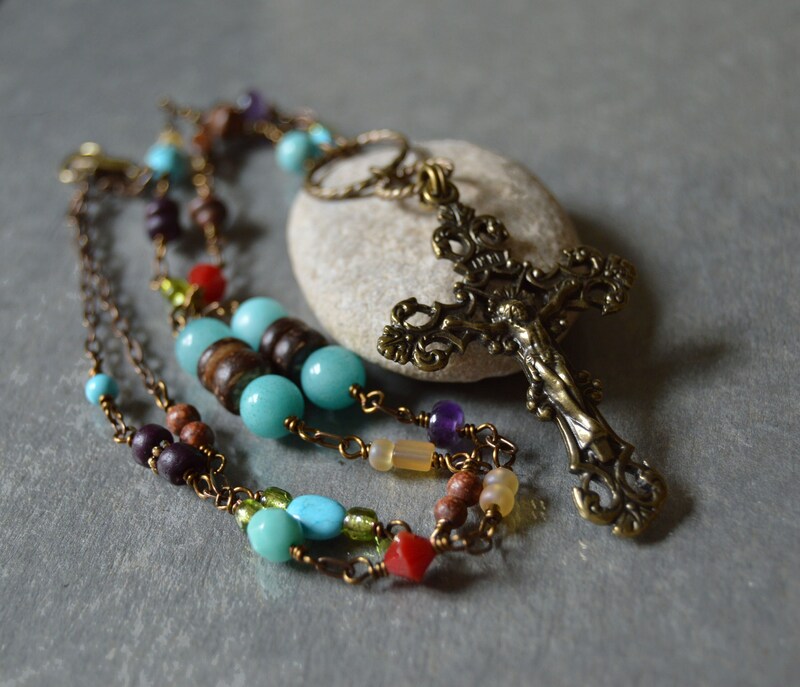 A long Catholic cross necklace for women featuring an antiqued ornate brass cross, Vintj™ antiqued brass chain, with a colorful splash of bright blues, vintage wood rosary beads, touches of olive and yellow, with a bit of red and violet. 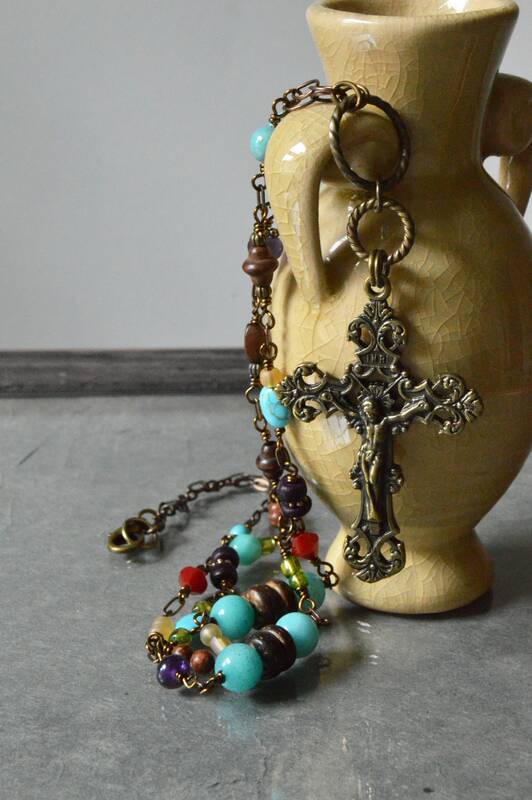 Brass rings add a contemporary contrast to the vintage styled cross. 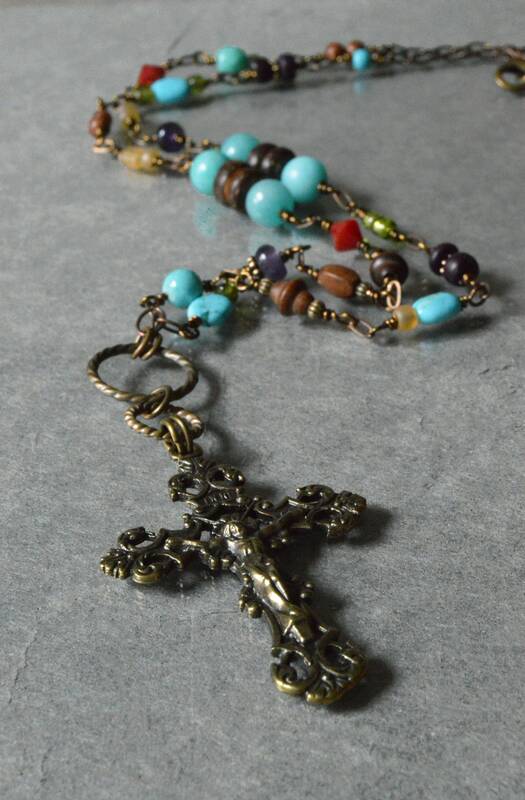 A brass lobster clasp completes the design.